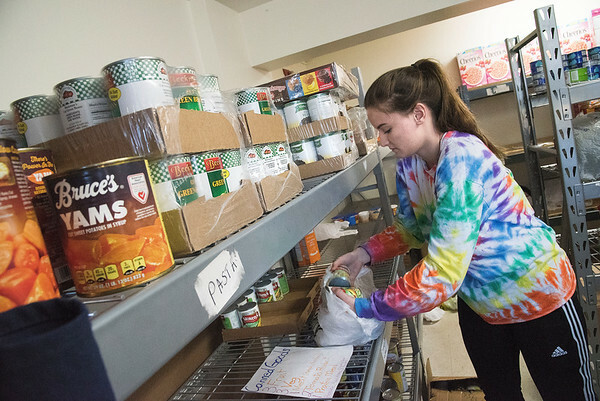 Niagara Falls, NY - Niagara-Wheatfield student Danielle Brochey donates her time working at the Community Missions food pantry. The pantry provides food for 20-80 families 3 times a week. Volunteers from area high schools participating in the Leadership Niagara LYNC program donated their time giving back at Community Missions.